This photo was taking during a getting ready at the Taj in Boston for a wedding. The Taj is located just a few short blocks from the Boston Common and has gorgeous getting ready rooms! 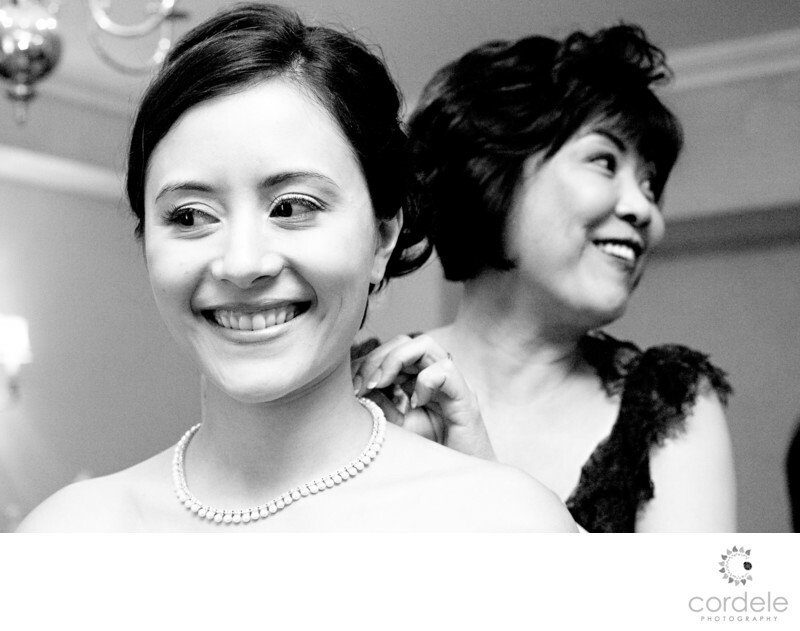 This photo is of the bride getting ready and her mom putting on her pearls. It was a black and white photo because the color cast took away from what was happening in the photo. The Taj building use to be the Ritz Carlton until it was sold and the Ritz opened up down the street. Location: 15 Arlington St, Boston, MA 02116.